Tax and accounting services that deliver more than you might expect. 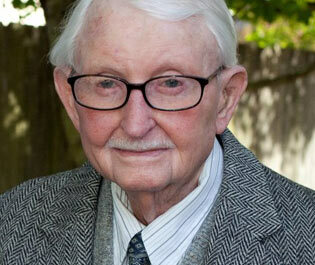 Founding partner Nels Johnson retired in 1985 and passed away in 2013. He is remembered for creating the founding principles of honor and service, delivered with a sense of humor. He found great joy in life and is deeply missed. Rely on our CPAs, year after year, for tax and accounting services. When you’re looking for an accounting firm in Salem or Keizer, Oregon, or when you need experienced CPAs to simplify your financial life, at home or at work, talk to us. We’ll look at the whole picture, and get to know you on a personal level. What are your financial challenges and goals? How can our services help you be successful? Our clients return year after year for our practical and prudent approach to their tax and accounting work. Established in 1980, Johnson, Glaze & Co. was formed when Nels T. Johnson and Larry R. Glaze partnered to provide practical and reliable Certified Public Accounting services to the greater Salem/Keizer area. There are many CPA firms and accountants in the Salem, Oregon area who provide services like ours. Yet our clients rely on us for more than just an annual tax return. Our commitment is to providing what you, your family and your business need to be financially healthy and strong. From managing your taxes to setting up the right accounting system, to planning for the next generation, our team is here for you. Keep you informed as tax laws change, and as your situation changes. Review your past financial history while offering proactive measures to provide you top-notch financial guidance and advice. Continue to maintain our high standards and meticulous attention to detail. Partner with your other advisors, to ensure comprehensive planning and consistent management. Deliver complete and accurate work at a fair price. Johnson, Glaze & Co. exists to provide the highest quality oversight of your accounting needs and financial goals with integrity, honesty and our expertise. At a time when words such as integrity, honesty, customer service, employee pride and security hold little meaning, we are proud to say these words define who we are, both as individuals and as a growing business. You deserve specialized attention and care, and we’re here to provide it. Dedication to healthy businesses, thriving communities, and outstanding relationships with our clients is what we’re all about. Meet our dedicated staff, all outstanding talents in their areas of expertise.